Business Mathematics, sometimes called consumer math or commercial math, is mathematics used by commercial enterprises to record and manage business operations. 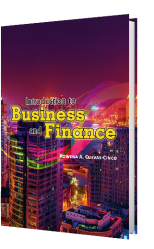 Business mathematics is an important tool in accounting, inventory management, marketing: sales forecasting and financial analysis. The emphasis of Business Mathematics in the tertiary curriculum is on computational skills and practical application. It also includes a review of elementary arithmetic including fraction, decimals and percentages. The practical applications typically include checking accounts, price discounts, markups and markdowns, payroll calculations, and simple and compound interest Luckily, even if mathematics is not one of the student's strengths, there are several avenues available for learning business math. The syllabus-based work text in Business Mathematics is one of them. Although many of the skills necessary for business success are related to interpersonal savvy and marketplace knowledge, most well-rounded business people need to know basic math skills, ideal for financial reports and other vital business documentation. 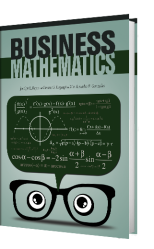 Business mathematics prepares the students in making general business decisions, like whether to expand into a new branch, whether to hire another employee, or if a commodity is marketable. Knowledge of business mathematics makes calculations less tedious and time-consuming, saving the business and its customers time and money.